Cha Eun Woo is asked to choose between Lim Soo Hyang and Seo Eun Soo. On December 13, Cha Eun Woo appeared on KBS 2TV's 'Happy Together 4' as the special MC. 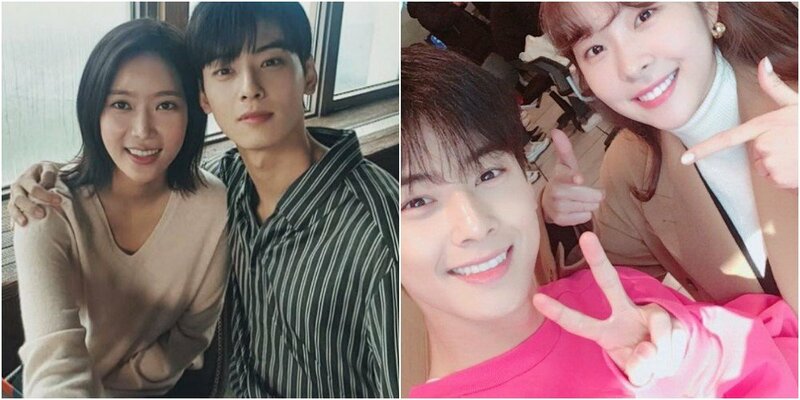 During the show, Cha Eun Woo is asked which co-star, Lim Soo Hyang or Seo Eun Soo, made his heart pound more during filming. The idol star answered, "I think it depends on what scene. I had a kiss scene with Lim Soo Hyang but not with Seo Eun Soo." The MCs continued to ask for a specific answer. Cha Eun Woo failed to pick one person and said, "Lim Eun Soo." definitely lim soo hyang.. his chemistry with her is one of the reasons why i love the drama..
in top managment he didnt had much scenes with the female lead and towards the end his character disappeared from the drama..